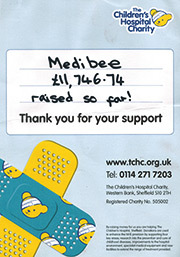 With your help, Medibee has raised £11,746.74 in 2014 for the Sheffield Children's Hospital - Well done! Book now for your Lecture in Troway Hall’s Log Cabin Lecture Theatre – called “HIVE ALIVE” !!! 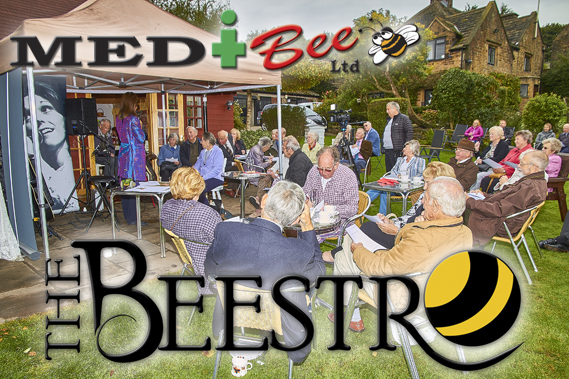 If you have a group – or can arrange to bring along 12 to 50 people – Gloria Havenhand will astound you with her vibrant lecture on “Your Health – How Bees Can Help”. How bees charge our health, food supply and our very existence. Honey tasting – the Hive springs eternal. Tea/Coffee and biscuits (buffet by request) – our pleasure to serve. Unique Bee shop on site – over 40 natural products. PHONE 01246 292425/413809 – to fix the date. Medibee's beautiful environment in the Peak District in Derbyshire includes ancient wild flower meadows, woodlands and heather moorlands. We would love you to climb aboard and join us to enjoy the fabulous flowers from our wild flower meadows (going back to the 16th century), thousands of Christmas trees and the most awesome environment for bees and birds alike. Book your lecture and journey around this special environment by phoning Gloria on 01246 413809 - all proceeds to the Sheffield Children's Hospital. Examine the photos below and gasp at the wild flowers, phacelia and borage herbs from which the bees avidly seek delicious nectar – alllowing you to enjoy a multitude of sparkling and spectacular Bio-Active honeys. It is therefore not surprising that this special environment contributes to this exclusive honey – unique to the Northern Hemisphere. Medibee’s Bee Bio-Active Honey is not only awesome to taste, but is probably the best honey you can buy. Only the best quality raw and unprocessed honey reaches you in the jar – whether to eat on toast, pour on cereal or just enjoy by the spoonful! 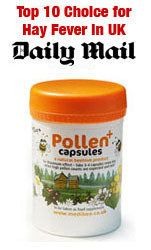 Medibee Honey is modest in price too, only £7.50 per jar – wow! At the same time, you know that other brands and rivals will cost between two and three times this price – what more could you want? 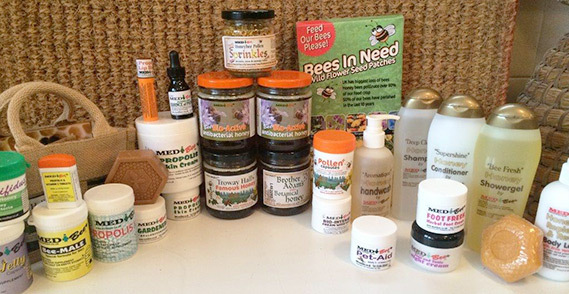 Just a small selection of Medibee natural beehive products – see our product page for our extensive range. Skin allergies can be a problem at this time too – why not treat yourself to Medibee Propolis Cream – which is ‘spot-on’ for acne, psoriasis, eczema and other random rashes – try them! 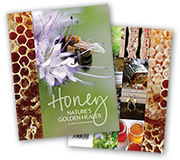 MediBee brings you these wonderful products by mail order, by phone or securely online – and of course the Honey Shop at Troway Hall – besides selected retail outlets up and down the country. 01246 413 809 or 01246 292425. A rare environment in the 21st century! News, Reviews & Venues section for more facts, features and updates. 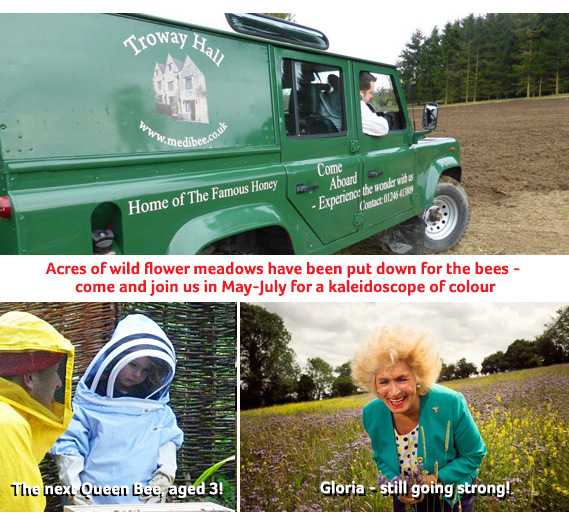 *Medibee Ltd and Medifoods Ltd are the trading names of Troway Hall’s Beehive Products.